After a busy first few days where you throw yourself headlong into every adventure activity you can find, you will probably come to the realisation that you haven’t had time to explore Cairns yet. It is understandable, with the Atherton Tablelands, Daintree Rainforest and Greet Barrier Reef just on your doorstep, not to mention the bungee jumping, river rafting, ATV tours, mountain biking on offer. 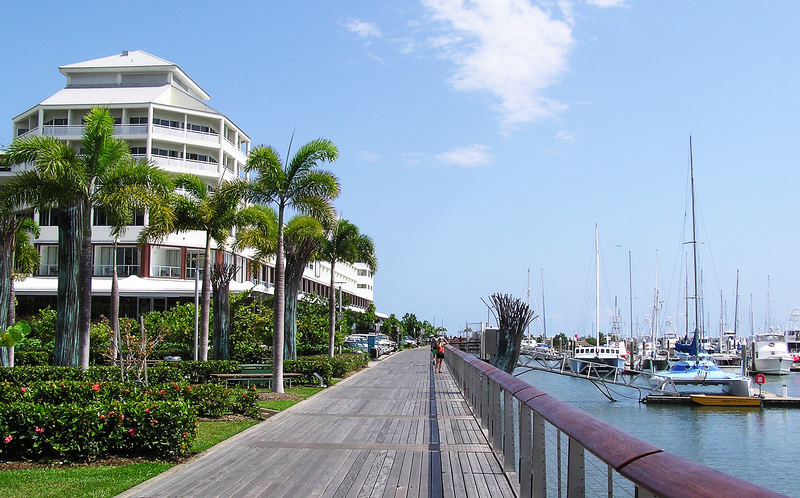 However, if you decide you need a day off from exploring and want to just chill out in Cairns itself you will discover plenty of cool places to hang out and make friends, and more than enough to keep you busy for a day or two. The Cairns Esplanade Lagoon is four hectares of sparkling water, perfect for swimming or relaxing away from the mud, jellyfish, crabs and crocodiles that patrol Cairns’ coastline. The pools are capable of accommodating 1,000 swimmers at a time and the water, sourced from the sea, is filtered every three hours to keep it clear and clean. The surrounding esplanade is the perfect place to watch the sun rise from the ocean in the mornings, feast on fish and chips at lunch and jog along scenic pathways in the evenings. Australia is not exactly famous for its Samurai, and at first the museum might feel a little out of place. However, Cairns’ small Samurai Gallery – the life’s work of one individual collector – is so good that you will soon forgive it for being in the wrong country and just enjoy the cool artefacts and art work in display. You can see some of the finest blades ever produced – some dating back to 1040AD – with katanas, wakizashis, tantos, tsubas, menpos and on display alongside ornate sword fittings and ancient armour. This historic tropical garden in Cairns has blossomed into several botanic spaces used for demonstrating the diverse plant life around the Daintree region. Flecker Garden is home to a broad range of plants ranging from tropical palms, exquisite orchids and ferns to the bizarre beauty of insect eating pitcher plants. The rainforest boardwalk, blanketed by fragrant jungle foliage and vivid flowers, allows visitors to imagine what the coastal areas of Cairns once looked like in ancient times. Cairns Night Markets are an electrifying shopping experience which comes to life when the sun sets. Featuring over seventy retail outlets and home to a myriad of food options, they are the perfect place to grab dinner and hunt for a bargain. These markets are inspired by the open air markets in South East Asia and the air is alive with commerce as tourists blend with locals to buy handmade crafts. The Holloways beach markets feature local crafts, fresh cuisine, floral plants while the Tanks markets showcase a blend of elaborate art, vintage clothing and natural health products.